iOS 5 beta 4 was just released but the iPhone Dev Team works fast, already jailbreaking the latest beta. This continues to be a tethered jailbreak for all hardware, which includes the iPhone 3GS and iPhone 4, iPod touch 3rd and 4th gen, and iPad 1. iPad 2 remains unsupported. The jailbreak works like any other past version of redsn0w, and you’ll need to update to the iOS 5 beta IPSW through iTunes and not OTA. 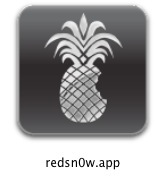 Much like the other recent redsn0w releases, these iOS 5 beta jailbreaks are intended for use by Cydia developers and are not considered stable enough for wider use yet.